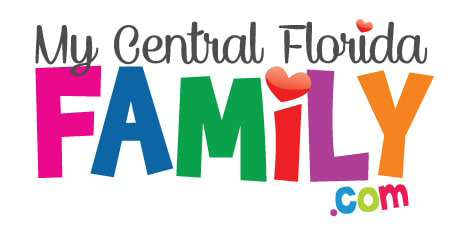 Lake Eola Family Video Review – Enjoy time at Lake Eola complete with a playground, wildlife, a Sunday morning Farmer’s Market, band shell for performances, and events throughout the year. Here’s our Family Video Review from our visit. Subscribe to our YouTube Channel to receive notifications for new Family Video Reviews. Thank you for your likes and comments too! Spending time at parks and playgrounds throughout Central Florida is a great way to make family memories, get the kids out of the house, enjoy the great outdoors and more. My Central Florida Family took a trip to Lake Eola on a beautiful Sunday morning. Lake Eola is located at 512 East Washington Street in Downtown Orlando. We started with a lovely walk around the lake. On a Sunday morning, you can find a Farmer’s Market full of food, crafts, flowers and more. There were performers scattered around the area too. My son enjoyed some Italian Ice and, if I had let him, would have loved some of the fresh made doughnuts too! Next to the restrooms on the east side of the lake, you’ll find a nice sized playground for the kids to enjoy. A typical park with slides, swings, and more, it’s a fun area to get the wiggles out! As you continue your walk around the lake, you’ll find ducks (and we saw some ducklings too), swans, egrets and other birds and wildlife. The flowers were in bloom on some of the trees and it made an exquisite spot to stop, sit and enjoy the water and fountain for a few minutes. As we made our way around to the west side of the lake, there are eateries for a bite to eat or drink. You can catch performances throughout the year at the band shell and there is a spot to rent a paddle boat. 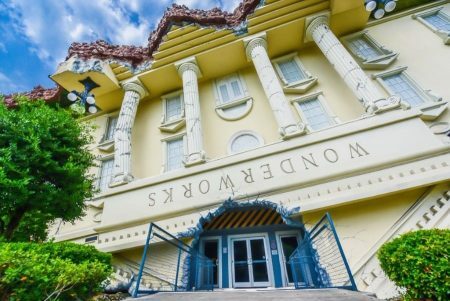 At the time of our visit, the price was $15 for 30 minutes, but it’s a relaxing way to get closer to the fountain and see the lake from the lake. Walking our dogs (be sure to bring a bowl and some water along with bags to clean up after them), we came across so many other puppies and people that clearly love dogs as much as we do! There is a large sculpture on the west side of the lake that kids were enjoying climbing on as it’s buried among a hill of grass. With docks and grassy areas along the lake, packing a picnic would be a great idea too. There are events nearly every weekend it seems at Lake Eola. Be sure to check out the events happening at Lake Eola throughout the year. It’s a nice to way to spend some time with the family on the beautiful side of Orlando. 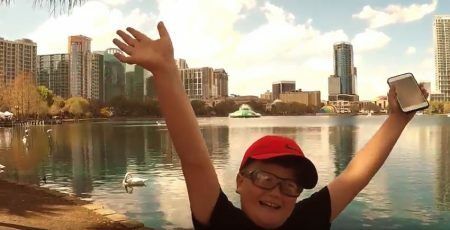 Disclaimer: This Lake Eola Family Video Review is based on the experience of My Central Florida and should be taken as opinion of that experience. Details are subject to change over time so be sure to verify details from our accounts.